Perched in one of England’s most enviable seaside locations, the FJB Hotel Group is a collection of four unique 3* and 4* hotels, each with its own individual character and team of welcoming staff. 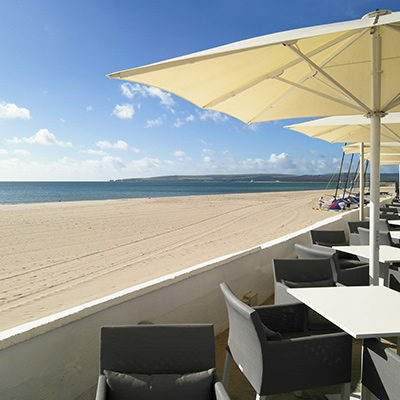 Each hotel offers either stunning sea views or direct access to the world-famous Sandbanks beach – seven miles of prestigious blue flag awarded sand to get between your toes! We aim to set ourselves apart from others with a level of service and attention to detail that is second to none and an atmosphere that can only be described as a home-from-home. We put the guest at the heart of everything we do. Successful candidates would be required to work to a rota which will include weekends, evenings and bank holidays on rotation. Ensuring that high standards of safety and cleanliness are maintained throughout the leisure club. Assisting and supervising guests and members in their use of the facilities. Undertaking specialist coaching and instruction where suitably qualified to do so. Carrying out regular routine inspections and safety checks of the pool, plant, health and fitness equipment and panic alarms. Ensure that all health and safety regulations are adhered to. Clean all public areas as per the daily job sheet. Providing excellent customer service, ensuring that all membership enquiries are dealt with and all associated payments and paperwork are processed accordingly. Completing the daily float checks, end of day and end of week banking as required. Must be fully NPLQ qualified (proof required). Hold a First Aid certificate. Will have experience of working in a plant room and supervising the pool area. Immaculate standards of personal presentation. This position will require a DBS check. In line with the requirements of the Asylum & Immigration Act 1996, all applicants must either be eligible to live and work in the UK or must obtain permits to work in the UK prior to application. Documented evidence of eligibility will be required from candidates as part of the recruitment process.